Phantonym is the new BuzzWord this week on Macmillan Dictionary. Last week Michael Rundell, in the context of what 21st century lexicographers do, discussed the way in which words such as disinterested are defined in dictionaries. There is in fact a name for such words and that is no other than phantonym. Our Macmillan Dictionary BuzzWord archive includes a couple of other interesting ‘nym words’: aptronym and backronym. Want to know more? 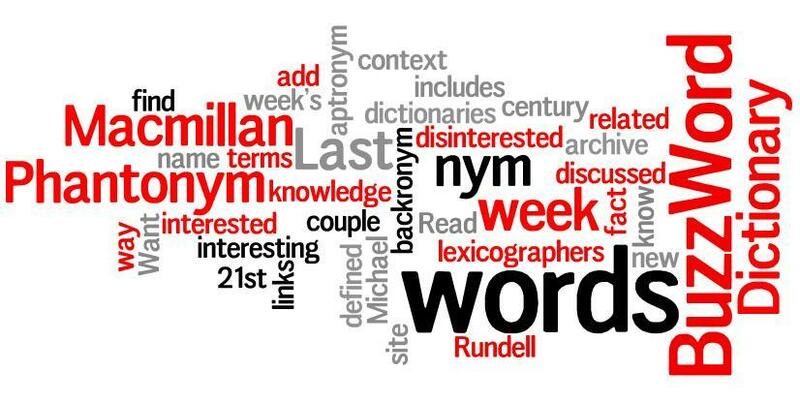 You can add to your knowledge of ‘nym words’ on this site. Read last week’s BuzzWord. Paraskevidekatriaphobia: fear of Friday the thirteenth.